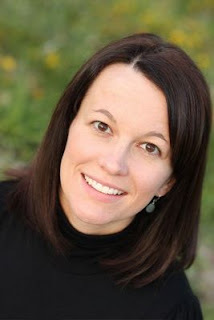 The Compulsive Reader: Interview with Ally Condie! 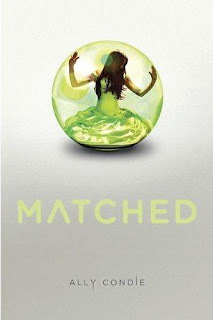 Ally Condie is the author of the most excellent book Matched (read my review here), which is coming out later this month. It is definitely one of my favorite books this year, so please do check it out! To celebrate its release, I got the chance to ask Ally a few questions...check it out! TCR: How did the idea for Matched evolve? AC: It all started with an idea—what if people didn’t get to choose who they wanted to marry?-and then past experiences of mine came into play. (Chaperoning a high school prom, participating in a very strange “matching” dance myself in middle school, etc.) And my present experiences—especially the all-consuming one of being a parent—-were also part of the evolution of the story as I considered the ideas of choice and accountability, the importance of wanting to keep the ones you love safe but not suffocating them, etc. TCR: You use some excellent poems to help propel the plot in Matched; how did you go about choosing the poems, and why did you pick them? AC: Yes! My next two books will be the other two books in the Matched trilogy. The second one will begin very near the place in the story where Matched leaves off and will have two narrators. And I can’t say anything more than that. TCR: What was the hardest part about writing Matched? The easiest? AC: The hardest part about writing Matched was tying everything together. There are a few twists in the book, but I didn’t want them to feel like twists, if that makes sense. I wanted them to be surprising but also ring true, as if they didn’t come completely out of left field. The easiest part of writing Matched was the first draft, the basic story. I’ve never had so much fun writing a book. TCR: Have you read any excellent books lately you'd like to recommend to your readers? AC: Yes! I am completely and utterly delighted by Grace Lin’s Where the Mountain Meets the Moon, a lovely story that works on many different levels and for many different ages. My seven-year-old couldn’t put it down and neither could I. He loved the action and excitement of the main character’s journey, and I wept at the beauty of it. Lin is a fantastic writer. I’ve also been reading (to my utter delight) Alan Bradley’s excellent Flavia de Luce mysteries. They are written, clever, and fun, and Flavia is one of my favorite characters of all time. I didn't know this was going to be a trilogy! I'm so excited! But true happiness is possible without also know the difficulties and despair. I do not think. I think you should have both sides of the coin.